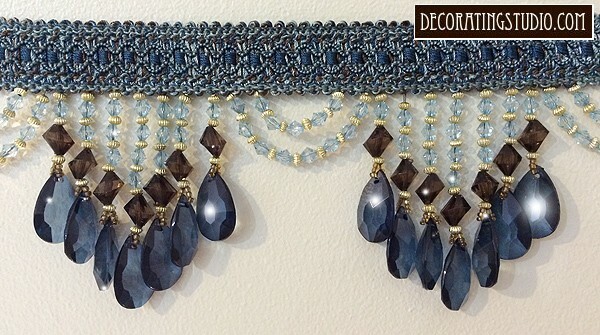 Aqua Venice Beaded Fringe is an ornate home decor trim that is perfect for drapery trim, valances, tablecloth edging or an elaborate trim for clothing or accessories. 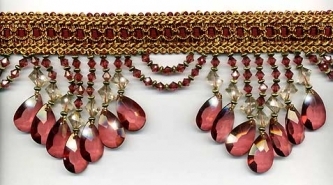 It is in a luscious shade of Aqua - pure, light and translucent. 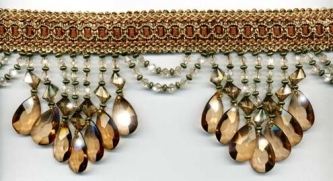 The sparkle is incredible due to the multiple faceted acrylic beads that this trim is made with. 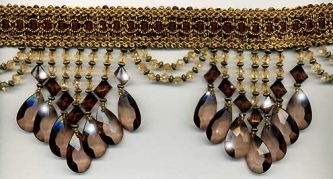 Accents of gold and rich brown beads. 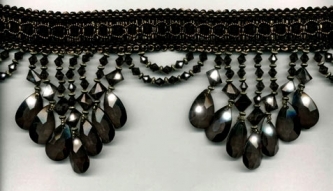 The loop and drape of the beads alternating with the graduated lengths of the beaded strands is truly breathtaking. 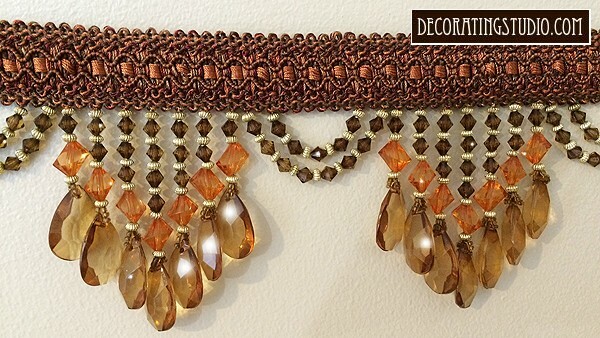 Sample of "Terracotta Venice" is created with dazzling transparent amber, chocolate brown and terra cotta beads mixed with antique gold accent beads. 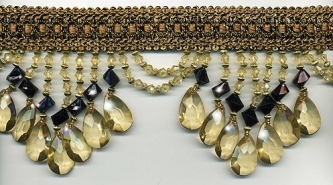 The loop and drape of the beads alternating with the graduated lengths of the beaded strands is truly breathtaking.